Humana will participate actively in Conama Local Valencia 2017, scheduled for November 27, 28 and 29 in Las Naves multipurpose space. The theme of this Encounter of Towns and Cities for Sustainability is 'Cities connect naturally'. The presence of the Foundation, as a cooperating organization, will be multiple. 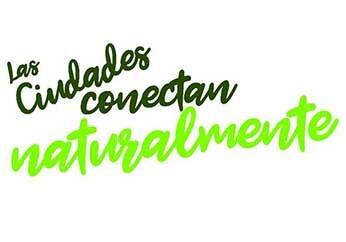 On the one hand will show in Las Naves the exhibition 'The second life of clothing and global sustainability'; next to the expo will have a small set in which the team of Humana in the Valencian Community will offer complete information on the work of the organization. In addition, on Wednesday, 29, José David Moreno, of the National Promotion team of the Foundation, will participate as a speaker at the round table entitled 'Public, sustainable, green and innovative purchase', scheduled from 9:30 a.m. to 12:00 p.m. in the Sala Factoría. The Conama Local is directed to a specialized public, formed by: institutional representatives both national and regional as well as from municipal teams and supramunicipal organisms; entrepreneurs; people within the scope of the company, particularly those dedicated to services in different diffuse sectors; leaders of civil society organizations; teaching and research staff and journalists.